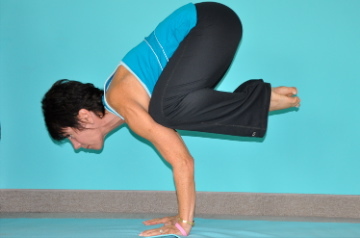 Lee Ann’s love for yoga began in college. During her very first session she fell in love with the movement, the breath work and the inner workings of yoga. It is a love that has lasted to this day. Upon college graduation and during her pursuit of a master’s degree, Lee Ann continued her own personal practice of yoga, attending classes and participating in retreats. In the summer of 1978 she earned her yoga teaching certification at the Sivananda Yoga Vedanta Center in the Larentian Mountains. Swami Vishnudevananda from India and Swami Brahmananda from England, were her primary teachers. She continued to study under Swami Vishnudevananda for 20 years, receiving her E-RYT 500 from him. Lee Ann has studied with many leading instructors across the country including, Pattabi Jois, David Swenson, Deepak Chopra, Baron Baptiste, Aadhil Palkhivala, Kali Ray, Shiva Rea, Beryl Bender Birch and many others. She is the owner and founder of the Yoga Center for Healthy Living, LLC and leads retreats and workshops locally, nationally, and internationally. She directs the RYS 200 & 500 from this studio.